IN all religions there are people who will create upheavals. However, any misbehaving Muslim is one who does not practice the true teachings of Islam. 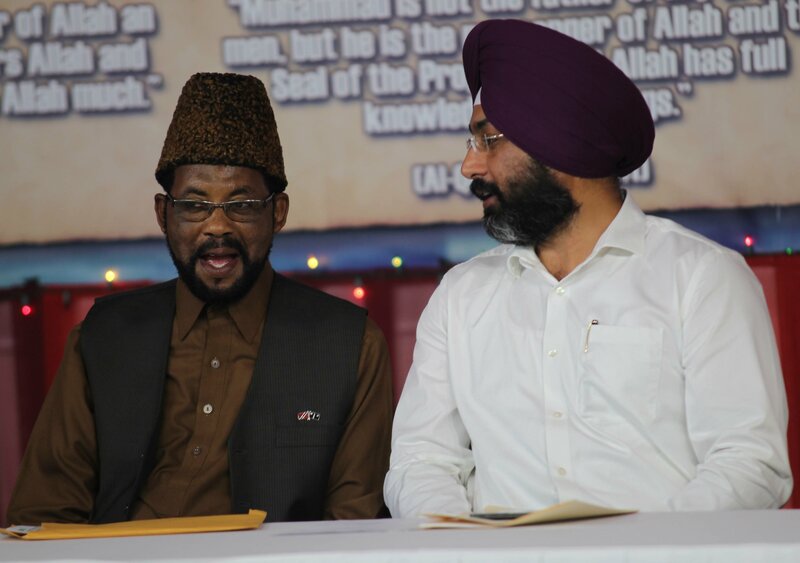 Leader and missionary-in-charge of the Ahmadiyya Muslim Community TT Chapter, Maulana Ibrahim Bin Yaqub made the comments to reporters yesterday at a peace symposium. “The majority of Muslims in the world are very peaceful. Why is it that we go after those individuals who are creating problems and then try to tell the world that it is (in the name of) Islam? That is not Islam,” Yaqub said. The event held at the National Centre at Gran Couva also saw representatives from other religious movements like Hinduism, Hare Krishna, Sikhism and Christianity attending. Yaqub said Islam stands for peace and harmony all over the world and the Holy Qur’an speaks to that effect. When asked to comment on reports of a Trinidadian being among six women sentenced to death in Iraq for allegedly having links to ISIS, Yaqub said he only heard of it via the media. In addressing the gathering, Yaqub said people have become less God-conscious and more pre-occupied with the mundane things of this life, and these main factors contribute to the evil and lawlessness in the country. He said there are various spiritual cancers which have become inimical, as far as the nation is concerned, and can be categorised into three groups – arrogance and superiority; greed and hatred; and corruption and nepotism. Reply to "Muslims who misbehave are not true Muslims, says Maulana"